Luckin Coffee is seeking to pitch itself against Seattle-based coffee mega-chain, Starbucks, as it prepares to launch in the US. According to a Reuters report, Luckin has tried to tap three US banks for an IPO. One of the three banks, Credit Suisse, is the only one of the three to confirm a mandate, whereas the other two, Goldman Sachs and Morgan Stanley are yet to confirm. The Chinese coffee retailer hopes for an initial valuation of $3 billion (£2.25billion), which will likely take place in May or June this year. Yet, there is still more information regarding the support from the three banks, who have declined to commit publicly. 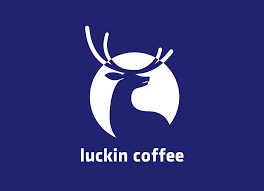 Luckin are a Beijing coffee start-up founded in 2018, specialising in coffee delivery services. Known as a unicorn (a startup evaluated over $1 billion) they take a strong technology and marketing based strategy, combining offline and online marketing. They currently have over 2,000 stores across China, but hope to more than double this to 4,500; to compare, Starbucks currently has approximately 3,600 stores in China. In their latest round of fundraising, Luckin secured $200 million from various funders including Singapore’s Sovereign Wealth fund GIC and China’s Legend Capital. Luckin reported a loss of £90 million last year, but this is typical for an expanding start-up of this size. Luckin’s marketing strategy has made some large gains in the difficult Chinese coffee market. China’s overall consumption of coffee is low, with only three cups consumed a year per capita (the UK consumes a whopping 250 cups). However, coffee consumption in China is growing rapidly at 16% in the last decade, outpacing the rest of the world at only 2% growth, according to the International Coffee Organization. Additionally, Luckin is 20-30% cheaper than Starbucks in China; hence, the rising coffee chain can seek to attract the large pool of lower wage workers seeking a caffeine boost. However, the main marketing victory of Luckin is in labelling its coffee as a ‘social drink’.